What is The Seven Challenges? The Seven Challenges is a comprehensive counseling program for young people that incorporates work on alcohol and other drug problems. It is designed to motivate youth to evaluate their lives, consider changes they may wish to make, and then succeed in implementing the desired changes. It supports them in taking power over their own lives. 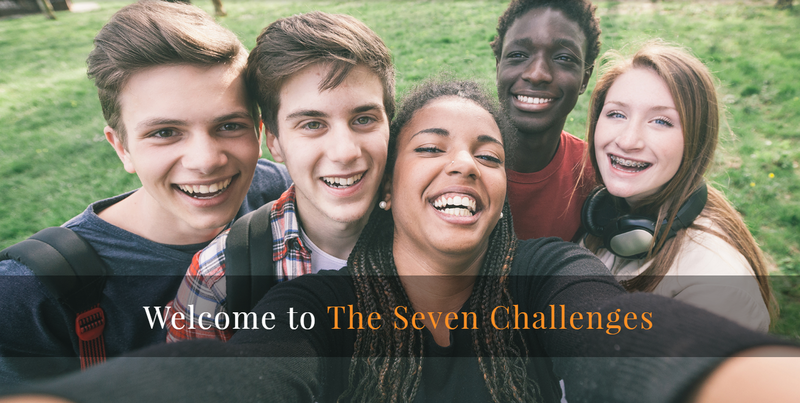 In The Seven Challenges, young people address their drug problems, their co-occurring life skill deficits, and their situational and psychological problems. Although counselors in the program provide a structure for groups and a framework for individual sessions, the content of each session is exceptionally flexible, in response to the immediate needs of youth. It is not pre-scripted. The Seven Challenges uses an approach called “Mastery CounselingTM,” which helps young people look at what is happening in their lives. They learn to recognize what is going well and what is problematic. Whatever is not going well, or as well as they would like it to be going, is identified as an “issue.” In Seven Challenges sessions, counselors teach young people to work on their issues. As they do their work, the “challenge process” is used to help them make thoughtful decisions, including about drugs. We do not fit the youth into our program; rather, we wrap the program around the concerns of the youth we serve. 1. We decided to open up and talk honestly about ourselves and about alcohol and other drugs. 2. We looked at what we liked about alcohol and other drugs, and why we were using them. 3. We looked at our use of alcohol and other drugs to see if it has caused harm or could cause harm. 4. We looked at our responsibility and the responsibility of others for our problems. 5. We thought about where we seemed to be headed, where we wanted to go, and what we wanted to accomplish. 6. We made thoughtful decisions about our lives and about our use of alcohol and other drugs. 7. We followed through on our decisions about our lives and drug use. If we saw problems, we went back to earlier challenges and mastered them.